Home » Blog » Braces » Your Severe Toothache Could be an Abscess! Unlike an ordinary toothache, an Abscess Tooth has a pocket of pus which is caused by a bacterial infection. If not treated quickly, the infection can spread to other parts of the body and eventually lead to more serious illnesses that could be life-threatening. Rather than allow that to happen, we will provide you with treatment which can even save your tooth. One of the most common treatments to remedy an Abscess Tooth is a root canal. Proceeding with a root canal can help get rid of the infection entirely and prevent your tooth from having to be permanently removed. In a root canal, one of our professional dentists will drill into the tooth to remove the infected tissue and then seal up the abscess. If you’ve never enjoyed your experience to the dentist office or you hate the idea of going entirely, Dr. Andres de Cardenas will change that! 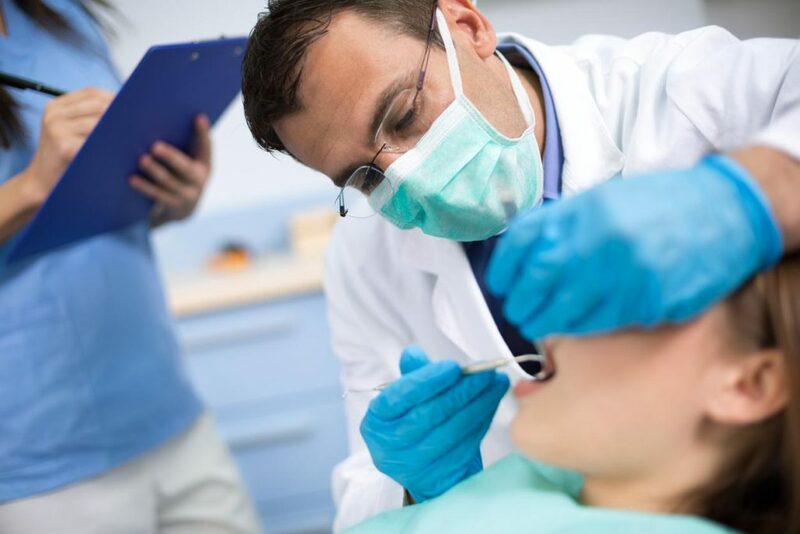 He has over 15 years of experience practicing dentistry in the South Florida area. As a graduate in the top 10% of his class at the University of Florida College of Dentistry, you can be confident in his expertise. 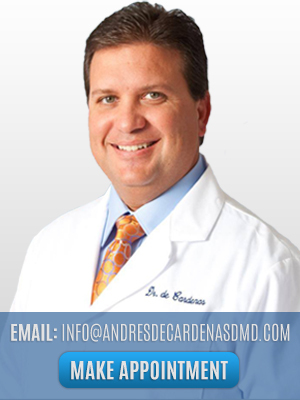 Dr. de Cardenas is an expert in implants, reconstruction, prosthetics, and much more, so he can provide any, and all the treatments you need. After he’s finished treating your Abscess Tooth, it will feel brand new and stronger than ever before! Your teeth are one of the first features that people notice when they see you, and we want to make sure your smile is looking the best it ever has. If you’ve been feeling self-conscious about your smile and don’t show it off as much as you should, our treatments will have you smiling non-stop! From professional teeth whitening to veneers, your teeth will thank you after a visit to our office. We believe that the most important person in the room is the one right in front of us, which means our number one priority is our patients. At the office of Dr. Andres de Cardenas, your Abscess Tooth can be treated with the highest quality care so you can get back to smiling as you should. Even if you haven’t gone to the dentist in years, our team will be more than happy to meet with you and answer any questions that you may have. Don’t keep letting this pain affect you any longer! If your toothache doesn’t seem to go away, it could be a sign that you’re dealing with something more serious, like an Abscess Tooth. Our professionals will be the best to fix the issue with the best results! Learn more about our cosmetic and medical treatments by calling us today at (305)-251-3334 or click here to schedule an appointment online!